Flat Feet- Most babies are flat footed but an arch should develop by about age 6-7. Flat feet can occur because of excessive pronation (internal rotation) at the heel. Flat feet and excessive pronation can cause foot and leg pain and the child might tire easily. Some children need extra support or control from an orthotic or insole worn in their shoes to stop excessive pronation and pain. 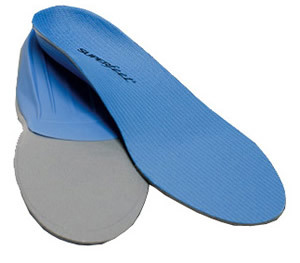 An insole or orthotic can help their feet to develop properly. Normal heel to toe gait starts at about age 3-4 so some form of control from an orthotics might be appropriate after this age. 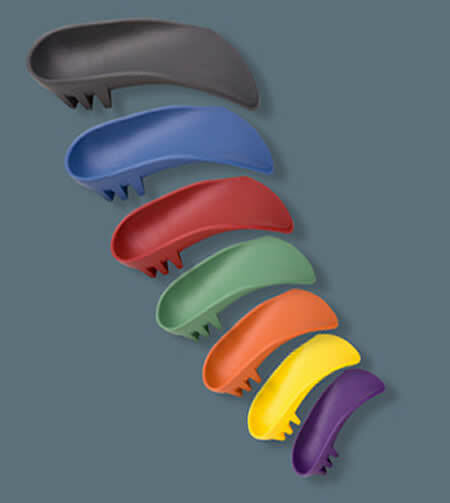 Custom made orthotics or ready made orthotics? Custom made orthotics can provide orthotics that have the exact prescription and control that is needed for your child's feet. A biomechanical assessment might find that one foot is slightly different from the other and this can be allowed for in a custom made orthotic. However there are now many excellent makes of over the counter orthotics for children which might be a useful first step, a temporary measure before a decision is made about custom made orthotics, or even a solution for fast-growing children who will quickly outgrow custom orthotics. If there are significant problems it is important to analyse how a child walks to determine the type of orthotic which will help. For my custom orthotics I use the TOG Gaitscan equipment to help with assessment and diagnosis. Re-assessment should occur at least every 12 months because of changing foot structure and size of feet. 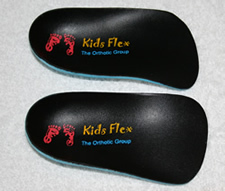 Custom made orthotic for children for sport and casual shoes. 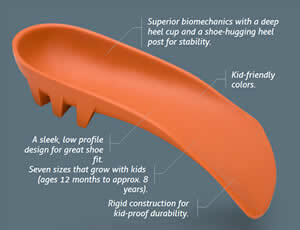 A deep heel cup is used to accommodate the larger fat pad found on the heel of young children.